There's a great little track called I Would Love You by Father John Misty & Phosphorescent over on the Aquarium Drunkard site. 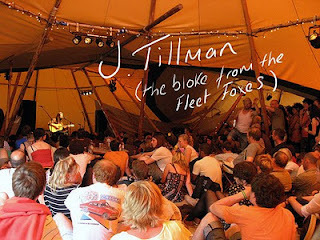 Father John Misty is otherwise known as J. Tillman, the drummer from the Fleet Foxes. The reverend will apparently be releasing his very own album in May on Sub-Pop. You can also see some photos of the rev and Matthew Houck recording this song along with the lyrics and other bits and bobs here. Coachella 2012: Are you going?